Paul Okoye now has 3 children- A 4 year-old son and a set of twins, Obinna and Adaobi, as his wife just had a set of twins (boy and girl) in the United States. 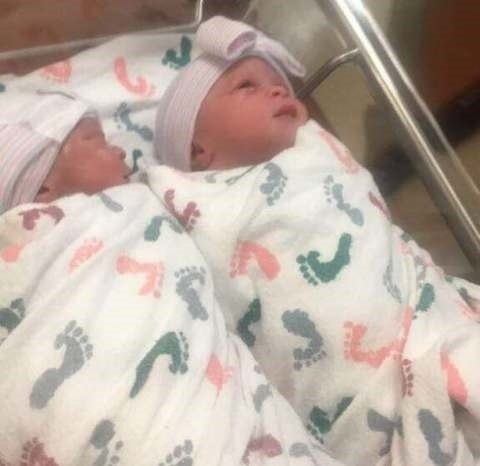 PSquare's Paul Okoye and his wife Anita Okoye have welcomed a set of twins in a hospital in Atlanta. The double bundles of joy have been named Nathan and Nadia and their Igbo names are Obinna and Adaobi Okoye. The couple, who tied the knot three years ago, are already parents to 4-year-old Andre. Paul took to his Instagram page to make the announcement Sunday morning. God!! Na me be dis!! ?...#twins #papaejima #babaibeji #babayanbiu #doubledouble ?????? what else can I say ??????????? ?God we thank you ???? now the house is complete ?? full house soon ? ?let me come and be going to #church??????? ?